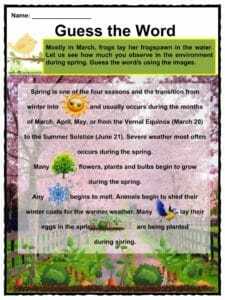 Spring is one of the four seasons and the transition from Winter into Summer and usually occurs during the months of March, April, May, or from the Vernal Equinox (March 20) to the Summer Solstice (June 21). 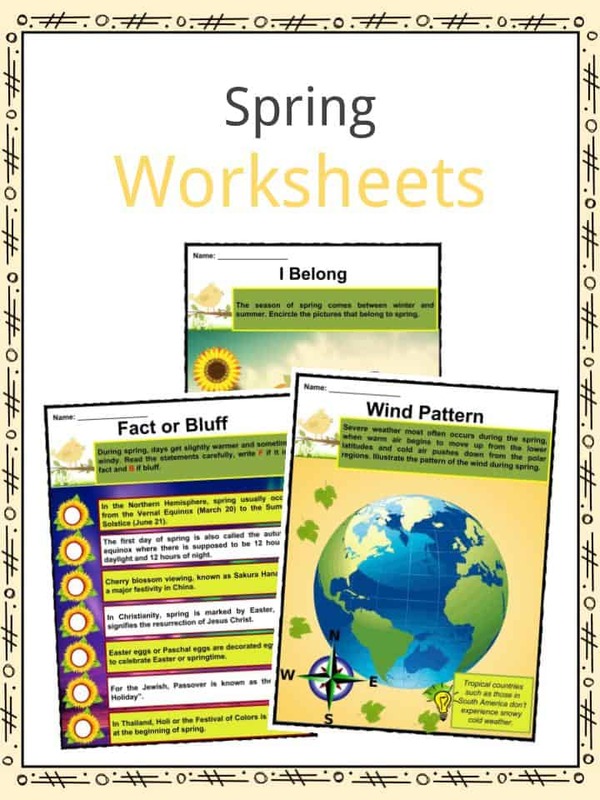 For more information and facts on Spring, keep reading or download the BUMPER 40 PAGE comprehensive worksheet pack which can be utilised within the classroom or home environment. In Greek mythology, the return of Persephone, daughter of Zeus and Demeter, and the goddess of fertility coincides with spring. In Roman mythology, Flora was the goddess of fertility and spring while the ancient Chinese believed in Ba Jia Jiang, one of the Eight Generals and the Great Spring God. In Sicily, women make a pilgrimage to the garden of Adonis at the beginning of spring. They plant seeds and wait for the sprouts. They decorate the garden with blue and crimson ribbon as a sign of life over death. Hindus celebrate the vernal equinox with Holi, commonly known as the Festival of Colors. Holi is widely celebrated in India and Nepal after the full moon during the month of Phalguna. It usually falls between February and March. In ancient Mayan tradition, The Return of the Sun Serpent, Kukulcan, is celebrated during the first day of spring. The Neolithic Celtic festival of Imbolc marks the turning point of animal prognostication. Today, some traditions include that the coming of spring or a prolonged winter is determined by a groundhog’s shadow. Ancient Egyptians built the Great Sphinx facing the rising sun during the spring equinox. 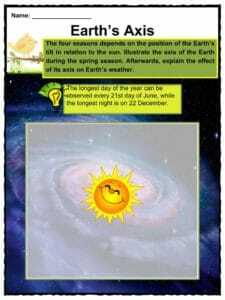 In the Northern Hemisphere, spring usually occurs during the months of March, April, May or from the Vernal Equinox (March 20) to the Summer Solstice (June 21). The opposite is true for the Southern Hemisphere. 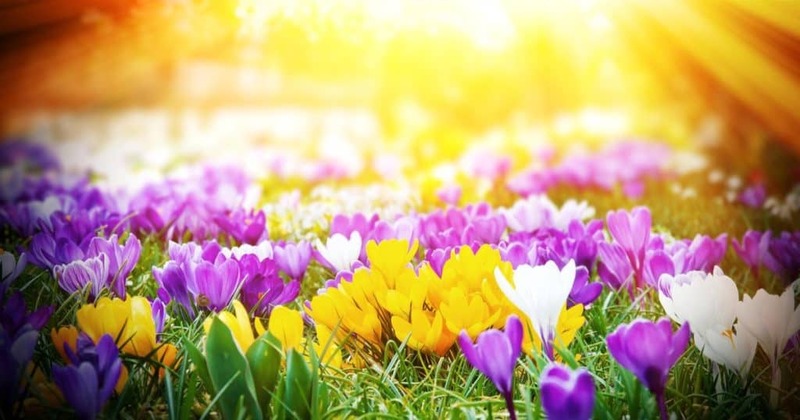 The first day of spring is also called the vernal equinox where there is supposed to be 12 hours of daylight and 12 hours of night. During spring, the sun rises earlier in the morning and sets later in the afternoon. The rest of the months can also be windy. 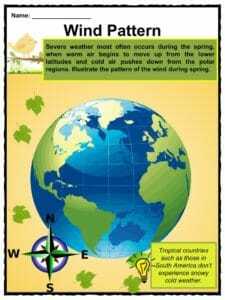 In warmer climates, late spring can bring hurricanes and tornadoes. Common spring flowers are lilacs, daffodils, irises, tulips, lilies, and dandelions. 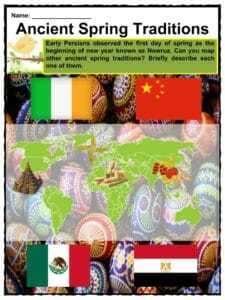 Many cultures celebrate the return of spring. It often signifies rebirth or rejuvenation. Cherry blossom viewing, known as hanami, is a major festivity in Japan. Sakura or cherry blossoms are an important symbol in Buddhism. 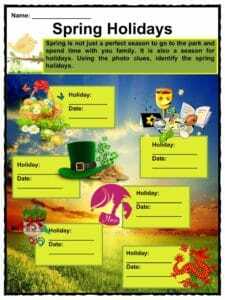 For the Jewish, Passover is known as “The Spring Holiday”. May Day, also known as Labour Day, is the date of many public holidays. The holiday originated from ancient practices but still survives today. St. Brigid’s Day, while in China, as well as other Southeast Asian countries, spring marks the beginning of new year in the lunar calendar and is celebrated as Chinese New Year. The celebration of Chinese New Year varies every year as it follows the lunar calendar. It is usually celebrated during Li Chun or beginning of the spring, thus it is also called Spring Festival. 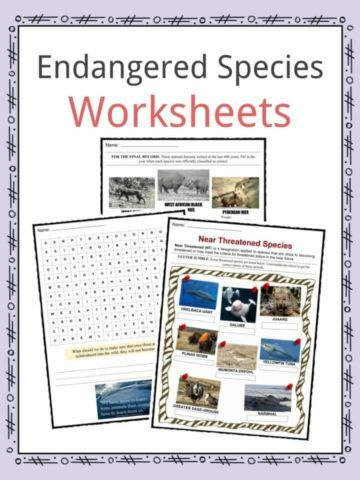 Each of the lunar cycles has a corresponding animal sign. The celebration lasts for 12 days until the Lantern Festival. 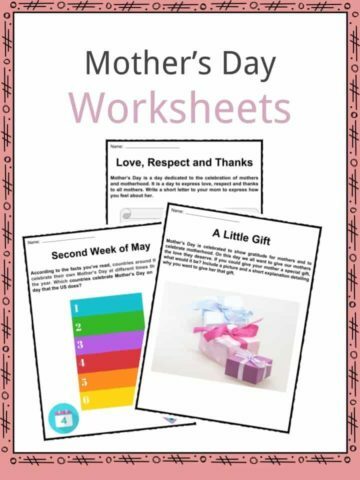 A number of holidays are celebrated during spring including, Easter, April Fool’s Day, Earth Day, Groundhog Day, Mother’s Day, Father’s Day, Cinco de Mayo, and Arbor Day. 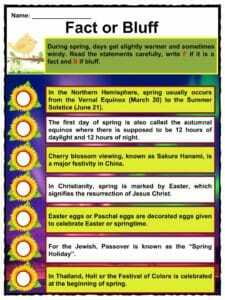 In Christianity, spring is marked by Easter, which signifies the resurrection of Jesus Christ. 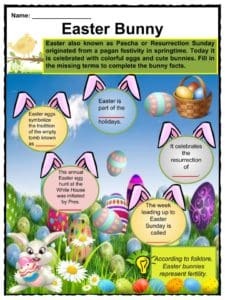 Easter eggs or Paschal eggs are decorated eggs given to celebrate Easter or springtime. After Lent, Christians follow the 50 day Eastertide until Pentecost Sunday. Giving eggs during Easter originated from Ancient Egyptian, Romans, Greeks, and Persians. In ancient Persia, the first day of spring marked the start of Nowruz or New Year. The Zoroastrian celebration lasted for 13 days in countries including Iran, Iraq, parts of Turkey, Afghanistan, Turkmenistan, Tajikistan, Uzbekistan, Kyrgyzstan, Kazakhstan, and other parts of Central Asia. 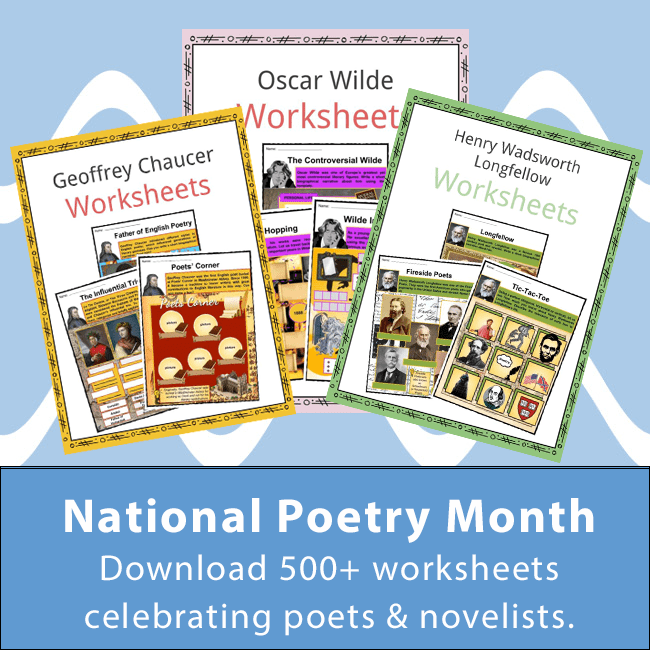 In literature, spring symbolizes renewal, rebirth, and the start of a better life or times. 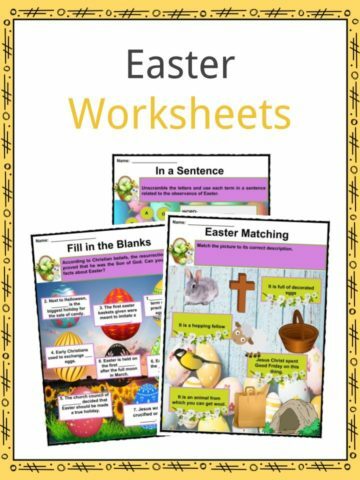 This bundle contains a WHOPPING 21 ready-to-use Spring Worksheets that are perfect for teachers or homeschoolers who want to introduce spring to the classroom or home environment. 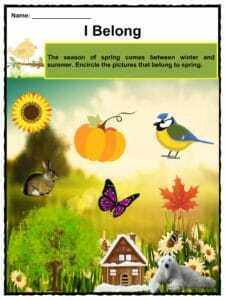 Spring which is one of the four seasons and the transition from Winter into Summer and usually occurs during the months of March, April, May, or from the Vernal Equinox (March 20) to the Summer Solstice (June 21).